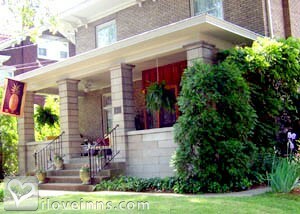 Huntington bed and breakfast travel guide for romantic, historic and adventure b&b's. Browse through the iLoveInns.com database of Huntington, West Virginia bed and breakfasts and country inns to find detailed listings that include room rates, special deals and area activities. You can click on the 'check rates and availability' button to contact the innkeeper. The moment you enter the quaint city of Huntington in West Virginia, you will immediately notice the change in atmosphere and ambiance. A bright and colorful town, Huntington welcomes its guests with a vibrant appeal. All sorts of people keep coming back to Huntington, whether for a quick trip or for an extended stay. Huntington is the largest city in West Virginia, and features a number of Huntington bed and breakfasts. There are a number of things that you can do in Huntington, whether you are interested in history, geography, wildlife, or the outdoors! You can go white water rafting along the Cheat, New and Gualey Rivers, or go hiking, cycling, and fishing along Summersville Lake. By Heritage Farm Museum & Village.